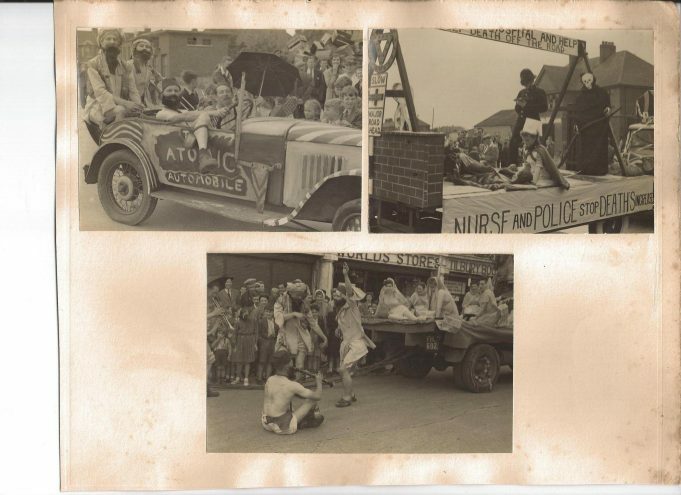 These photos was given to the site by Andy Reynolds. They were found in Roy Reynold’s wife’s grand-dad’s house after he had passed away. 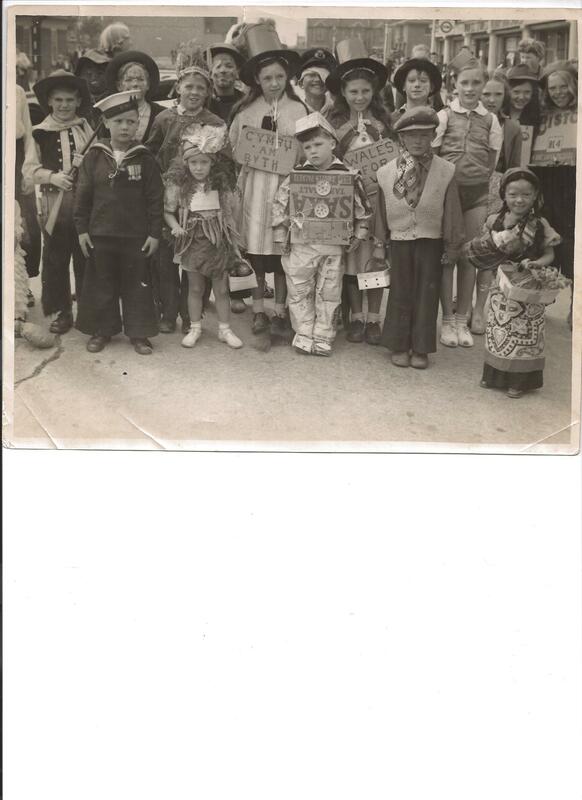 It is a carnival float in Civic Square but can you name anyone in the photo? 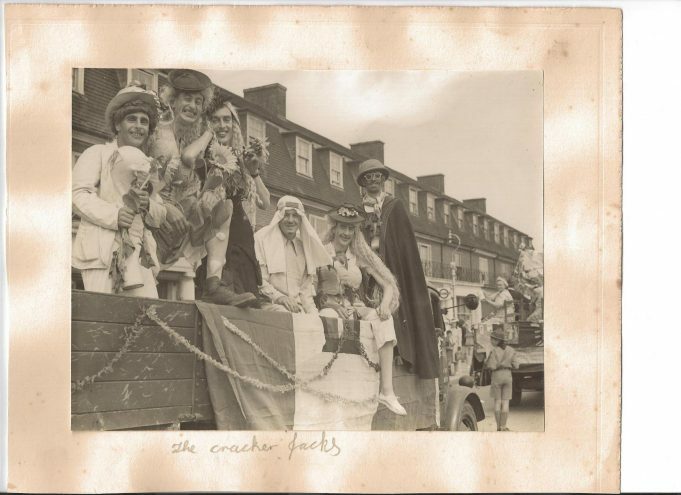 The only clue is the ‘Cracker Jacks’ written in pencil on the bottom of the photo. Please put any names to the other photos if you can! Double click on photo to enlarge and see the faces! 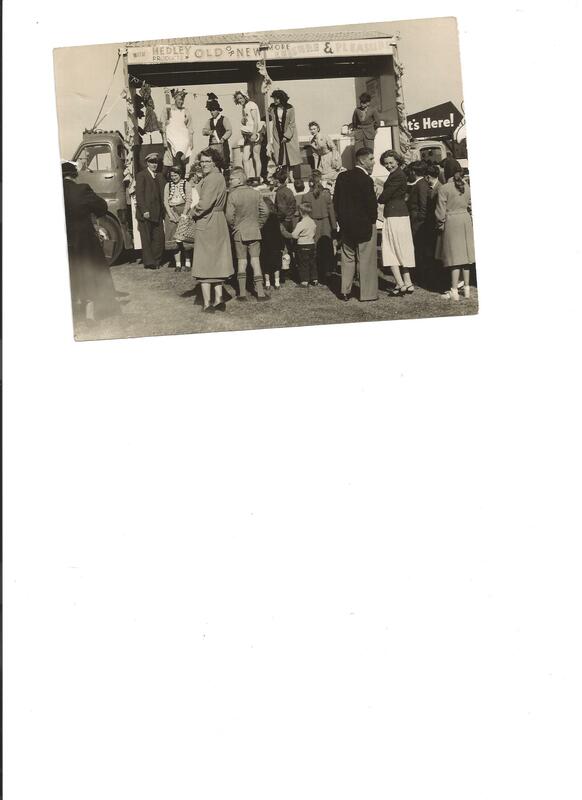 The bloke on the left of the photo is my dad Sid Jacobs drummer, then Ron gunna bass, pat malt sax, harry gunn trumpet. 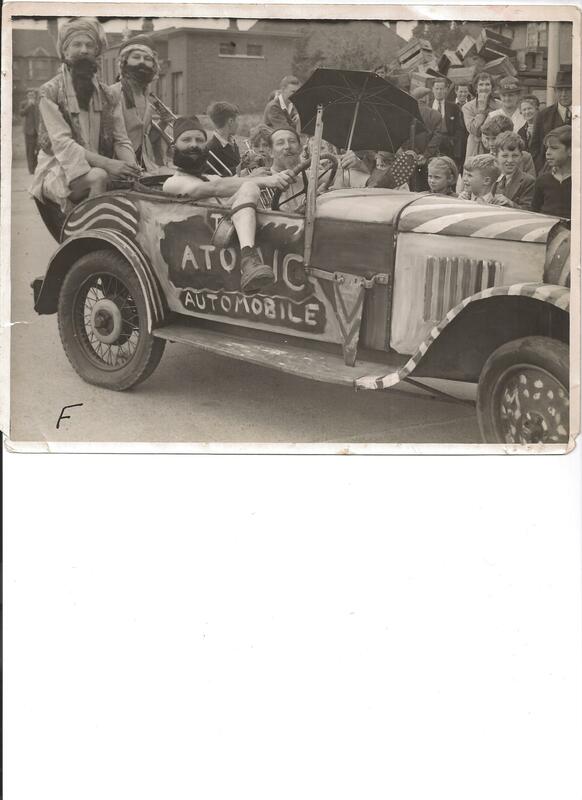 The people in the old car are a local band called the Atomc five, if you enlarge the photo you can see their instruments, they played at many events in Thurrock. I was told the boy wearing the soldiers tin hat could be Bumble Girt.